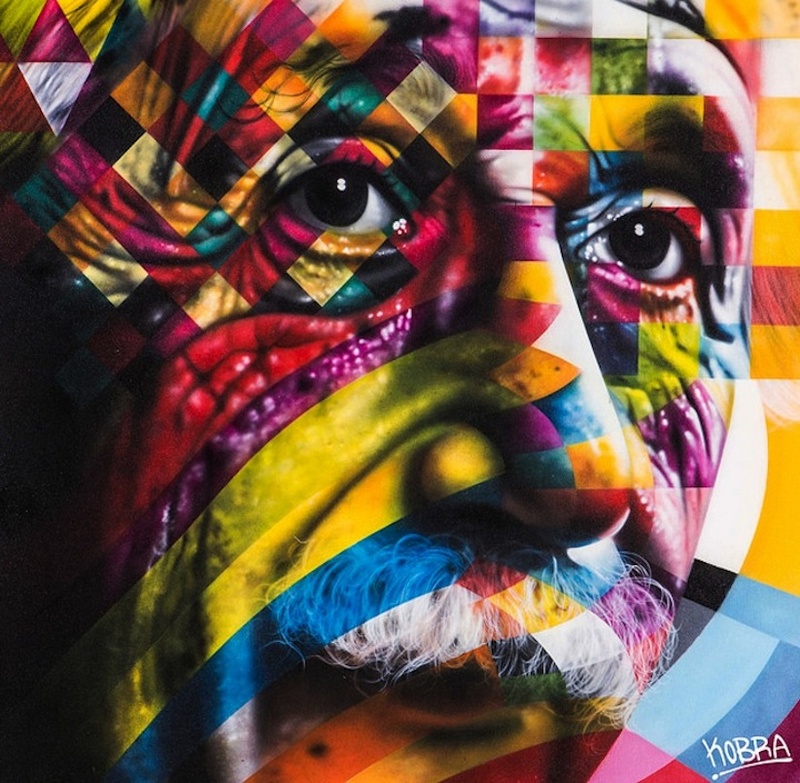 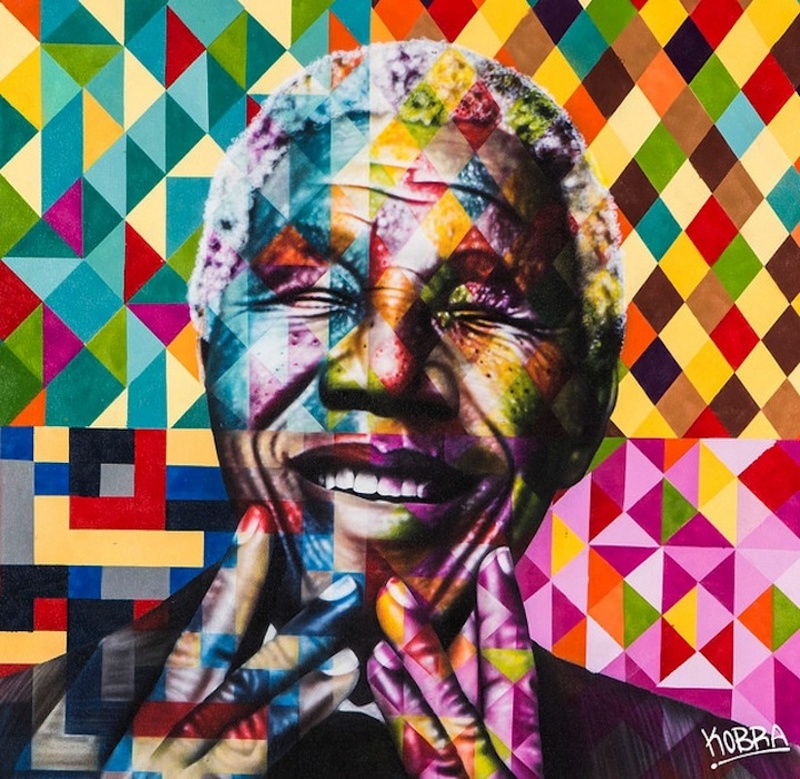 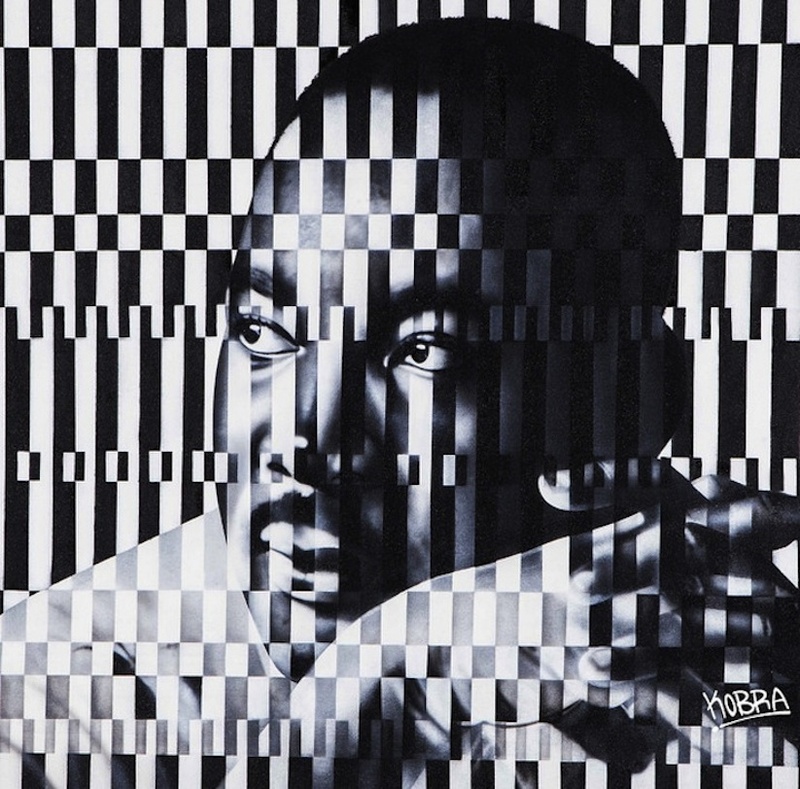 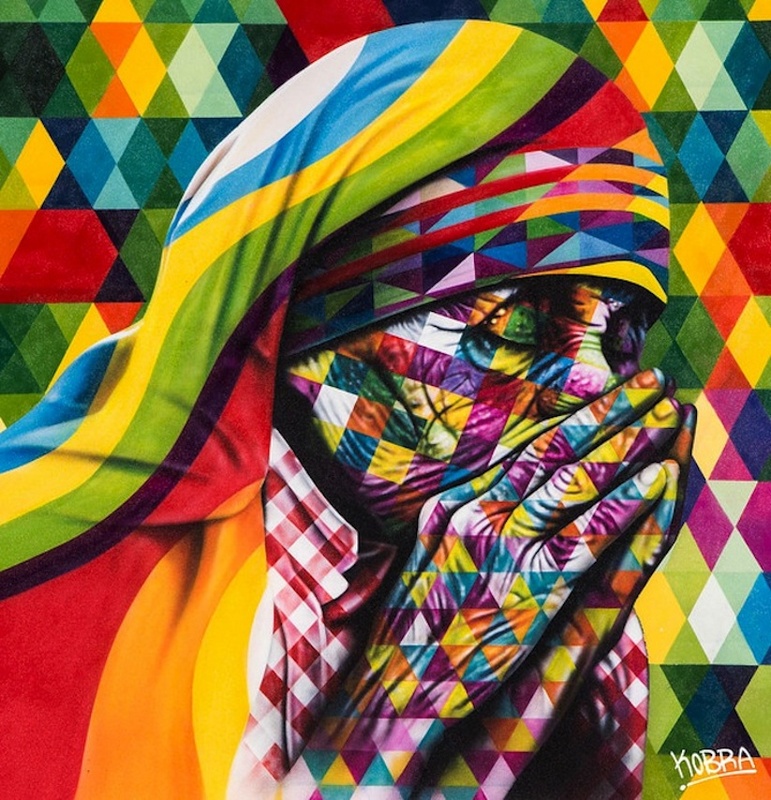 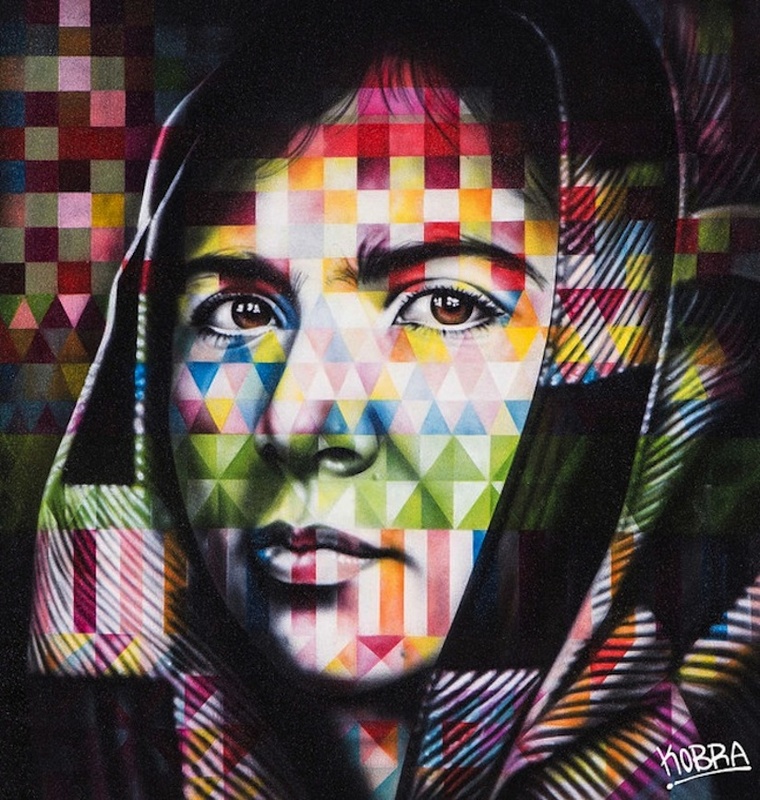 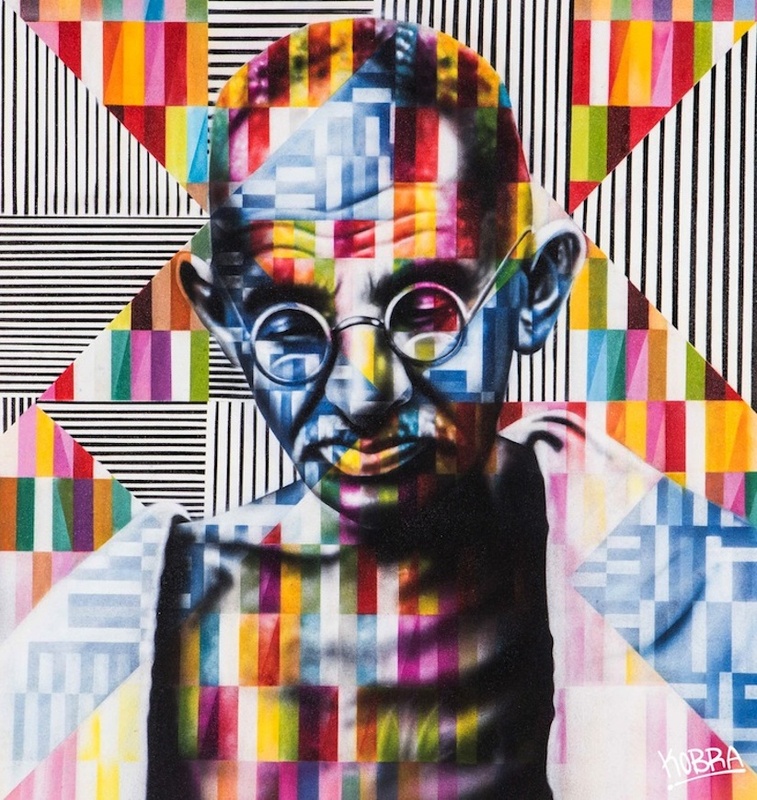 Sao Paulo-based street artist Eduardo Kobra has a signature approach filled with vibrant colors and geometric shapes that merge together to form the portraits of many very prominent figures. 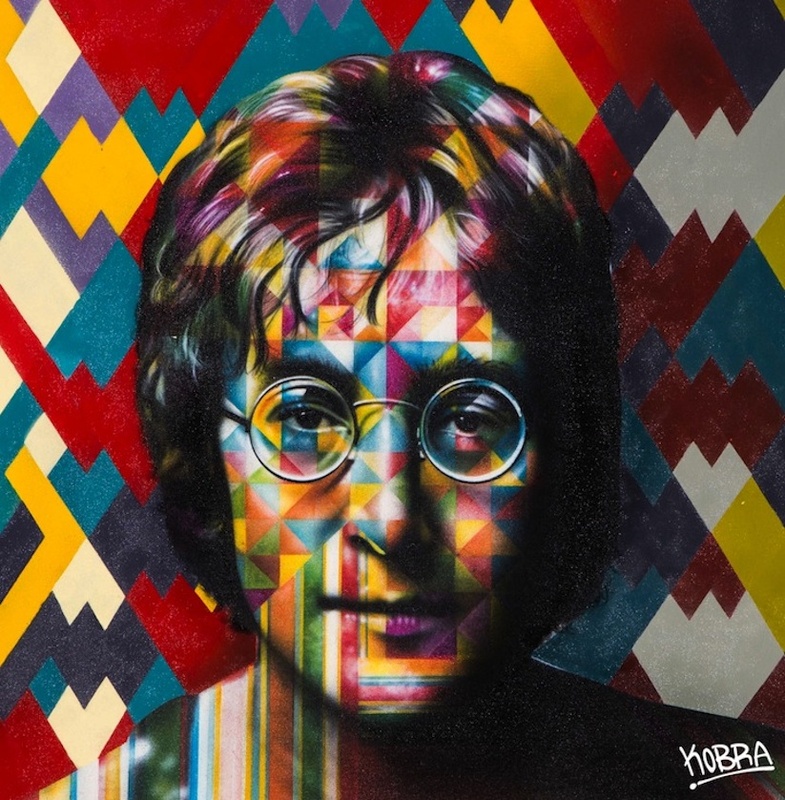 He uses a combination of painting, airbrush, and spray paint to produce the enormous works filled with a lively spirit.His most recent large-scale work will be featured as a solo show, entitled Peace, beginning on May 9, 2014 through June 25, 2014 at Rome’s Dorothy Circus Gallery. 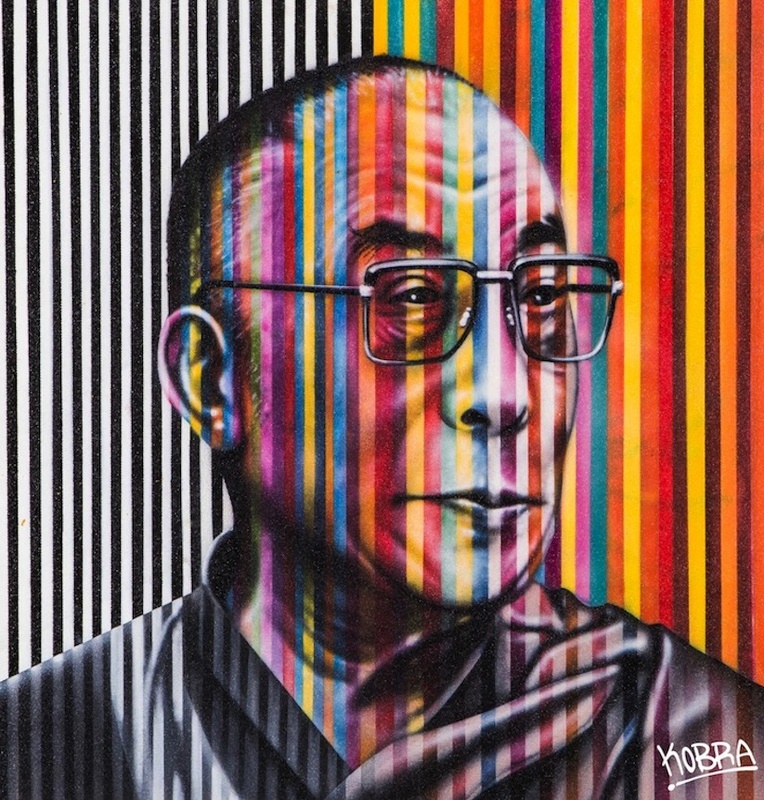 The selected portraits will feature people like Nelson Mandela, Mother Teresa, Albert Einstein, and the Dalai Lama.